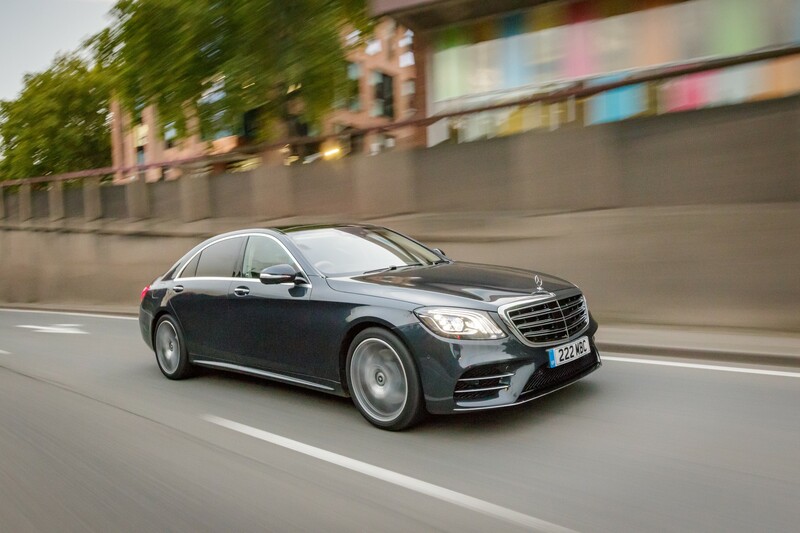 "If you do want to be in control of the S-Class, the experience is mightily impressive"
Few cars can match the outright grandeur of the Mercedes S-Class. Even when parked next to large SUV’s, it stands out with dominant road presence. Historically, the car has been ahead of its rivals when it comes to technology. Now, it faces a new challenge from the Audi A8 – the first car to offer level three autonomy. Mercedes has updated its driver assistance systems in the new S-Class too. Not to the same level as Audi, but its adaptive cruise control is among the best we’ve experienced. It can automatically adjust its speed to suit speed limits and slows down for corners, junctions and roundabouts. Combined with the lane keeping aid, there is very little actual driving that needs to be done. 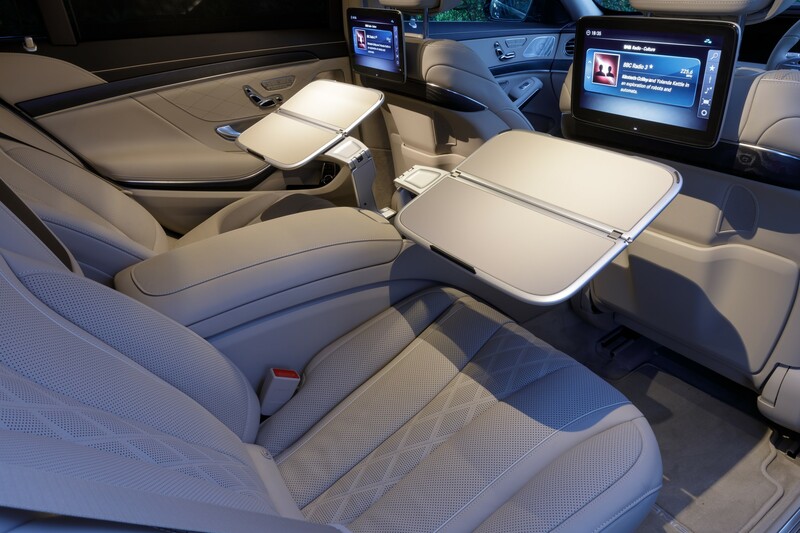 However, if you do want to be in control of the S-Class, the experience is mightily impressive. Its air suspension provides outstanding body control and ride comfort. 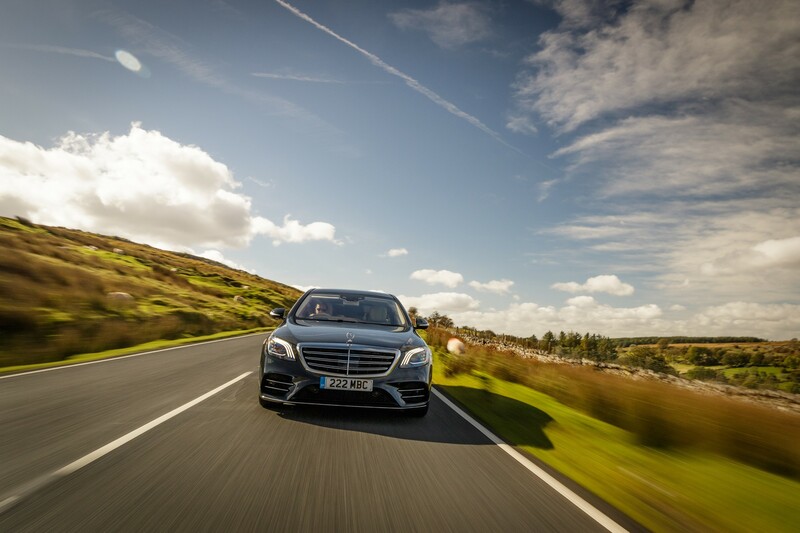 Coupled with the new powertrain, the effectively entry-level S 350d does not disappoint. In a bid to become more efficient, a recent facelift of the S-Class saw the introduction of an all-new straight-six diesel engine, to replace the existing V6. It emits 153g/km, which is impressive considering the pace it can deliver. 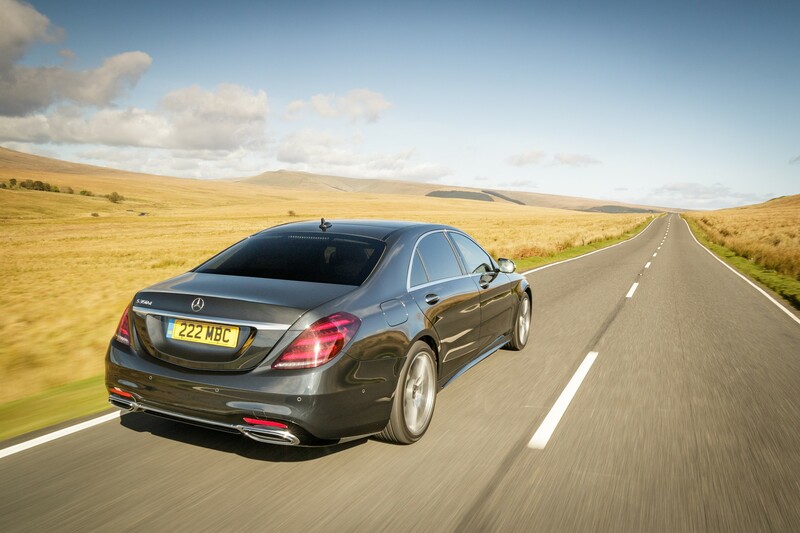 The 286PS unit can accelerate the two-tonne car to 60mph in six seconds, yet still returns an average 48.7mpg. 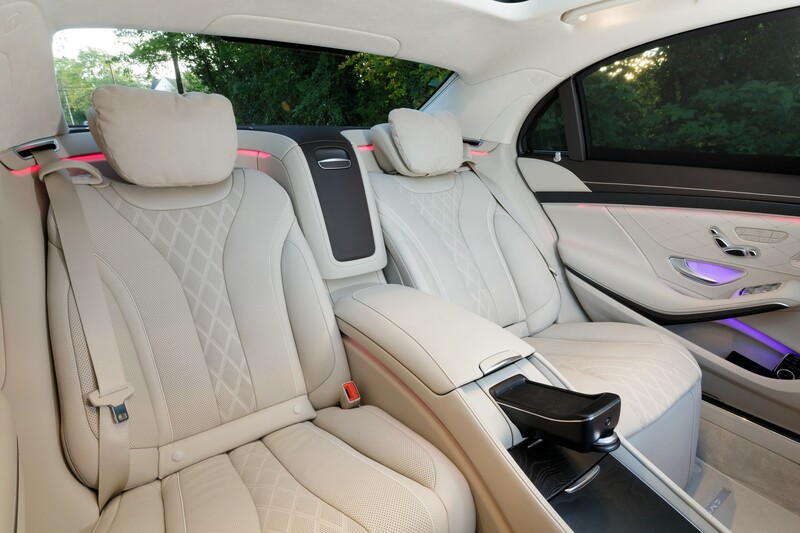 Passengers can enjoy an array of features such as rear mounted infotainment screens and reclining rear seats with ventilation, heating and massage functions. Up front, the driver is treated to two 12-inch high-resolution displays, taking the place of instruments and proving the navigation and infotainment information. It is all linked to a centrally mounted rotary controller, which has haptic feedback to make usage as intuitive as possible. The interior offers a stylish blend of modern and classic touches. 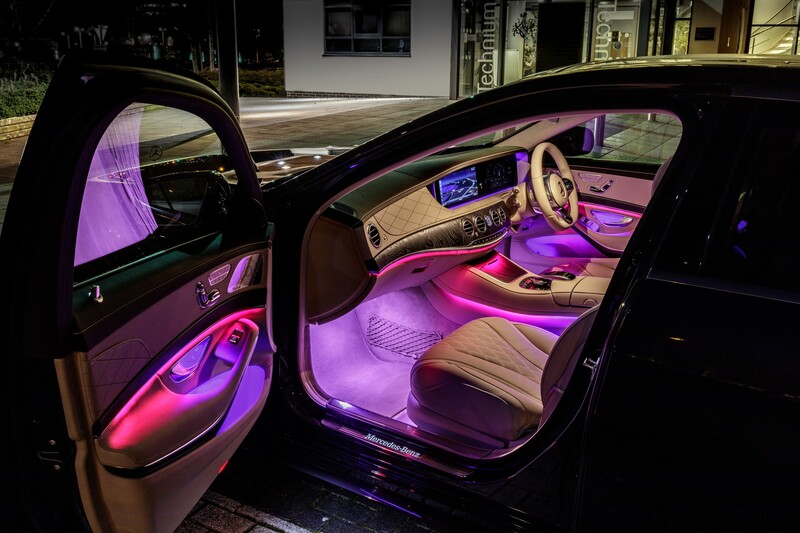 There is a greater sense of elegance in an S-Class than you get in other German saloons. 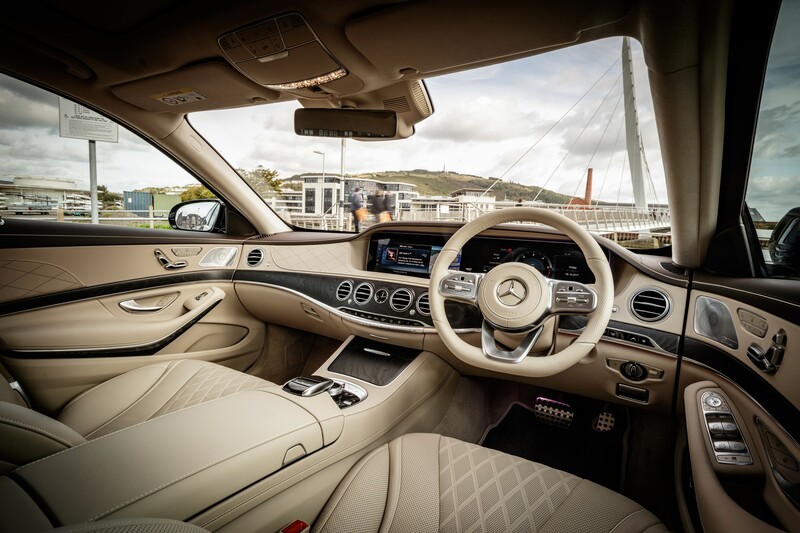 In an A8 the interior is more high-tech, with touchscreen panels and sharp lines, however the Mercedes still has the edge when it comes to luxury. A 510-litre boot should be sufficient for a few large suitcases, crucial for a car that is regularly used for airport chauffeuring. Our test car has a list price of almost £100,000 as, unfortunately, a lot of the exciting and new technology is optional. We achieved north of 40mpg during our test, which seems aligned with the new A8 TDI we tested at the end of last year. 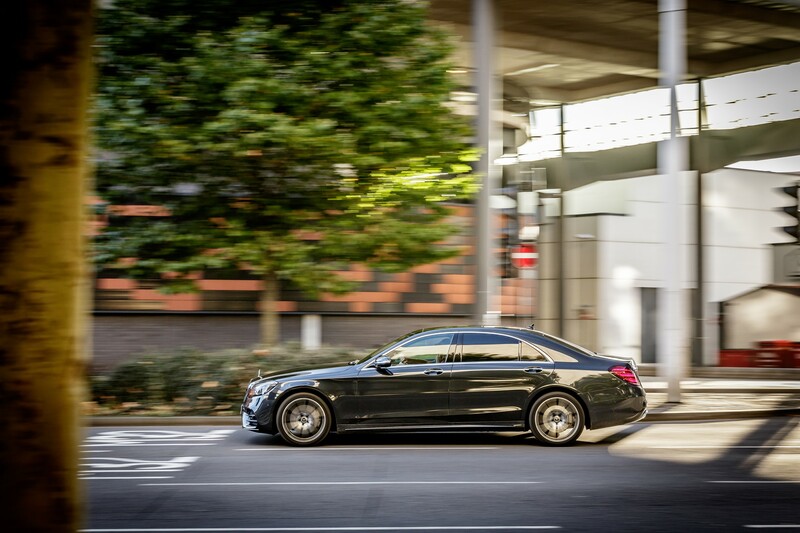 The Mercedes S-Class does without the additional traction that Audi offers as standard with the Quattro-equipped A8, but the ride quality can only be described as ‘sublime’.